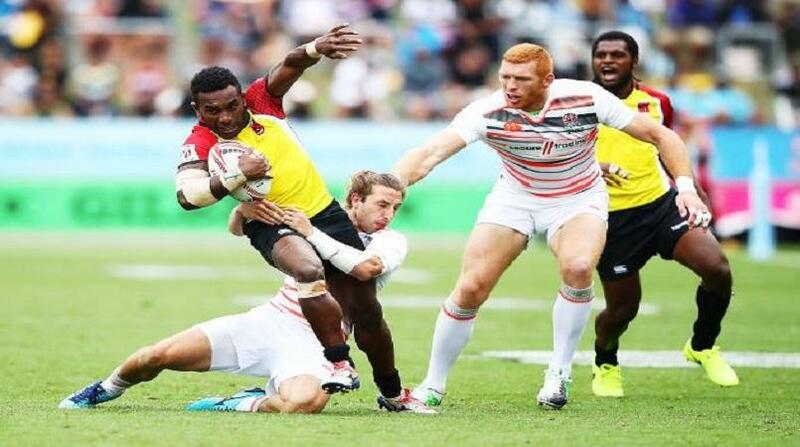 The Papua New Guinea Pukpuks went down to South Africa 36 - 5 and Engladn 27 - 0 . The Pukpuks will face Russian this afternoon at Waikato Stadium, Hamilton , New Zealand. There are 16 countries playing in the two day tournament that ends tomorrow. The Pukpuks are in Pool B with South Africa, England and Russia.